There has been some confusion this week about the lodging tax bill, as some local newspapers are have reported that the bill is a fait accompli. In fact, the bill is currently stalled, and we may not know for a while if it will pass or not. The bill WAS passed by both the House and the Senate on July 29, and it was then submitted to Governor Baker. But instead of accepting or rejecting the bill, he returned it with his own amendments, resulting in the current unresolved status of the bill. During the formal legislative session, which ended for the year on July 31, only a majority of the legislature needed to vote in favor of a bill. But during informal session, which they are in now, the vote must be unanimous, which means that it would take only one legislator to vote no and the bill would be dead. 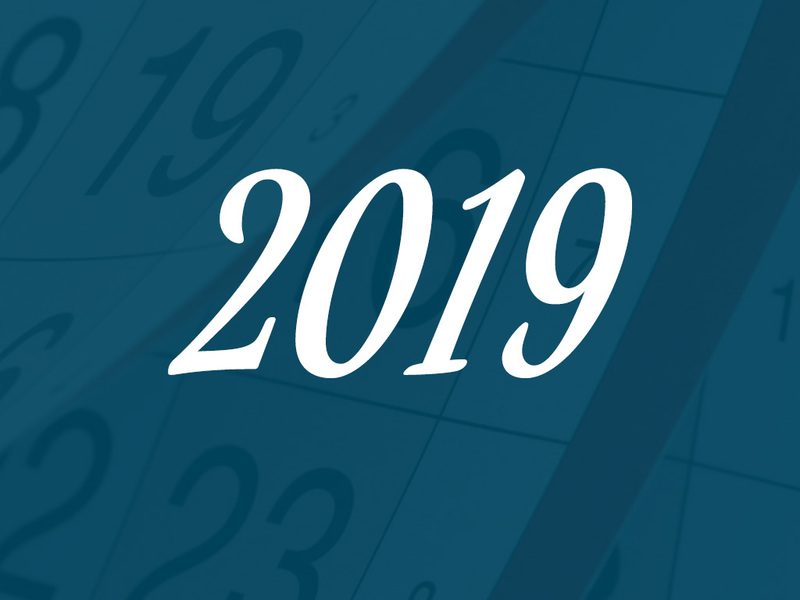 Formal sessions do not resume until Jan. 1, and, if the bill is not passed by then, the legislators will have to start all over again on a new bill that would likely not go into effect until Jan. 1, 2020. We will continue to update this Blog as new developments occur. On Wednesday afternoon, Aug. 1, Governor Baker released his amendments to the lodging tax bill. Seeks a technical correction to avoid impermissibly redirecting revenue pledged to special obligation bonds issued under the Convention Center Act. Allows occasional users who rent out their properties for fewer than 14 days to avoid having to get a $1M insurance policy and register with DOR. To address privacy concerns, removes the street number from the publicly available registry but will require street name and city/town to be public. Leaves in place every other provision of the bill. If approved, any lease that is signed after November 1, 2018, for occupancy after January 1, 2019, will be required to include the tax (5.7% state, up to 6% local, and 2.75% wastewater tax for Cape and Islands). I’m getting daily inquiries about rentals for 2019, I quote my pricing but also mention the potential of the Mass Lodging tax. I expect to hear back from two of the potential tenant in the next week. I will use my normal lease for now and take minimum deposit pending the tax outcome. How are other owners handling this issue at this point? I am deeply disappointed in Governor Baker. I know he had previously taken a hard stance to the minimum amount of rental days for lading taxes to be at 150 days per year, which in my opinion seemed very reasonable. Now, without notice, he suddenly caved and went from 150 days to only 14 days, at the final moments of the legislative session. I will not vote for him doe to his lack of consistency! Our local rep, Julian Cyr, wants to force us to sell so that there will be more houses on the market, prices will to forced down, and the locals will be able to afford a home. You voted him in , time to VOTE HIM OUT, Sarah Peake too! Very upset about this as it has a huge impact on the rent for my modest 3 bedroom cottage. I can’t think of a better way to boost vacationing in NH. Unfortunately I have a lot of repeat renters and having to deal with this will not be something I’m interested in doing and just plain isn’t worth it. I would take my place off the market. Having to deal with the bureaucracy and added overhead would be a major deterrent. Do I understand correctly that- assuming that this goes through – I do not have to charge sales tax for the 2019 rental season if contracts are signed before November 1, 2018? I have several re[eat renters that would probably go for this idea and would consider making it a part of my advertising. rent year round. Why allow someone to live in your property, destroy it, not pay rent & cost you lawyers fees & 6 months of no rent to evict them? Another point – the more money we are forced to charge, the more people will expect, not realizing how little we end up with. I already have tenants wanting bicycles, kayaks, free beach passes, concierge service, and of course maid service & linens, with the beds all made when they arrive. No cleaning up after themselves of course – they already think it’s supposed to be like a hotel. What are they going to want when the rent goes up even more?I have 2 properties I inherited, and the summer rent barely covers taxes insurance & utilities. I’m just trying to hold onto my family’s property – one bad summer with less tenants could really cause problems. Not fair at all. For those who rent their sole homes and primary residences, I had a long phone conversation with Rep. Ryan Hunt last evening. I had not been aware of this, but apparently the Legislature did consider exempting such homeowners, those who have to leave their sole residences in order to rent them out, from this tax. Unfortunately, the exemption was voted down, and according to Rep. Hunt, the vote went such that all Republicans voted for the exemption and all Democrats voted against it. That gave me some hope that we could perhaps make our voices louder on this issue and push it to be revisited. Rep. Hunt indicated that it is too late, but he also said that, if, for example, this tax has a deleterious impact on the Cape, they will revisit the bill. I think it is never too late to be heard. As one who feels that this bill makes my keeping my home, my sole property, at great risk, I will be, once again, contacting those Legislators who voted against the exemption, as well as Gov. Baker, and push to have this reconsidered. We have to make clear to them what is at risk for us, the irony of the reason for this bill being the problems in Boston with limiting permanent housing due to AirBnb and corporations buying up properties to rent out but which will cause many of us on the Cape to actually lose our permanent and sole homes. The Cape is not Boston. He specifically mentioned Rep. Aaron Michlewitz as being particularly obstinate about such things in defense of what he wants for the North End of Boston. I have sympathized with the problems AirBnb has foisted on places like Boston and San Franscisco; will Boston be sympathetic with what this bill will do to homeowners on Cape Cod? So far, the answer is no. Our lodging tax will actually be higher than Boston’s because of the wastewater tax. Fight this. And need it be mentioned that starting out at a rate of nearly 15% is obscene and probably stupid? It appears that if you rent your home for a few summer months you not only have to pay a 15% lodging tax (which will probably be increased when they realize the windfall) but get a $1M insurance policy and have the DOR in your business? I feel terribly discriminated against being a second home owner. I wonder how many potential renters know of this upcoming law and how that will effect their 2019 vacation plans. We will have to really think hard about what we are going to do. Curious: Do the B&Bs also pay this high a tax? DB. Maybe not. But, if a lot of home owners stop renting because of this it will also have an effect on any business related to rentals: cleaners, landscapers, trash hauler, linen rentals, bike shops plus restaurants, small tourist shops. It would be the domino effect. I think it is a lot. Income tax, state tax and town tax. Unfortunately, we all have to pay this- it is the law. How much is lodging tax in Florida? Thanks for these important news updates. We appreciate the efforts you have made to try to prevent the oppressive / repressive tax increases. Remember when the liquor industry forced the state to rescind the sales tax? Perhaps, Mass residents who regularly rent cottages for summer vacations on the Cape and Islands will help us fight for a similar outcome here. Does this mean that in addition to this exorbitant tax, homeowners who rent more than two weeks will be required to have a $1M insurance policy? Does this mean that in addition to this exorbitant tax, homeowners who rent their houses for more than two weeks will be required to get a $1M homeowners insurance policy? This tax will truly hurt all Cape Cod rental property owners, especially since we generally have only a 6 month rental period on the Cape, unlike places like FL, CA, etc. We have to maintain our properties for the full year for this short season and this tax will really hurt the rental market on the Cape big time, especially since most Cape rentals are for a week or longer in private homes, unlike hotel and motel stays. I don’t understand the first amendment: “Seeks a technical correction to avoid impermissibly redirecting revenue……”. Can anyone explain it, and how it would apply to Cape rentals? Does this mean that if tenants sign a lease for 2019 before Nov 1 there will be no taxes for 2019? I have no idea, this state is the worst! Two week threshold? – that’s ridiculous. Thanks Gov. Baker and the Mass State legislature! – now I’ll have to sell. we already pay taxes on our properties. Now we have to pay more taxes and carry a 1M insurance policy. Basically they are tying to put us out of business and take away the rentals. How on earth are we going to get away with charging people a nearly 15% lodging tax? I know….crazy! Also – I think it’s completely outrageous to mandate publishing the location of the house. Home owners don’t have security like a hotel…. 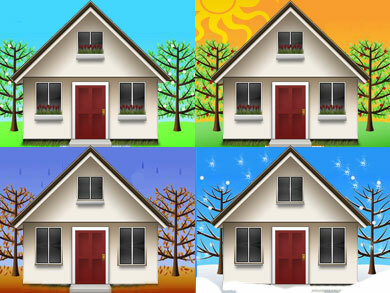 People pay attention to rental properties that are mostly rented in the summer….in the winter many are empty. Ripe pickins for crime.